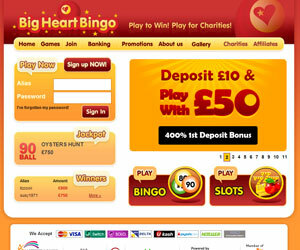 Big Heart Bingo | Get £40 FREE when you join! Big Heart Bingo is the UK's first charity bingo site, which has the best of on line bingo games whilst also giving money for worthy charities. Their games of bingo are played as normal but a percentage of the money raised from the games will be given to some of the charities they support. This means that even if you lose a game you are still helping out a charity. This site is all about the charity and they will support all registered charities that sign up to Big Heart. The more games you play the more you are giving to charity. Join Big Heart Bingo now. 2. Press the join button, fill out your details and receive a free £10 without making any deposit. 3. Receive your 200% bonus. You will receive £10 as soon as you register your details and then once you make your first deposit you will receive 200%. On all your reload bonuses they have a scheme depending on how much you deposit and with each amount you receive a different percentage and you will be a few steps closer to the farm. 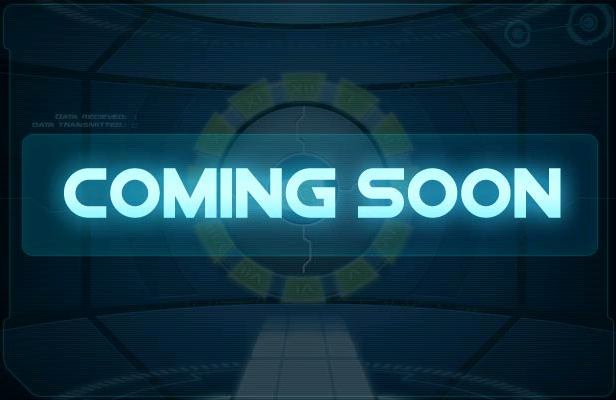 There is also the great chat feature making sure that you will never get bored whilst playing as you will be chatting to both new and old friends whilst you are playing your favourite bingo games. They not only have 75 and 90 ball bingo they also have 80 balls bingo so you have a huge variety of games to choose from. With the 80 ball bingo game you have the chance to buy 10 tickets and receive 5 free – giving you more chances to win. There are also slots, casino games and scratch cards for when you want a little break from playing bingo. You will have so much fun playing and win from big cash jackpots and take home exciting prizes every month whilst you play, safe in the knowledge that, win or lose, you are helping your favorite charity. 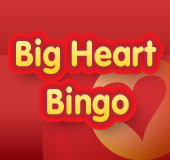 Don't miss out – sign up to Big Heart Bingo now!